Hurry, you can get Assassin's Creed Pirates for just $0.10!!! It must be time for summer app sales, both Google and Amazon have apps and more on sale in their respective app stores. 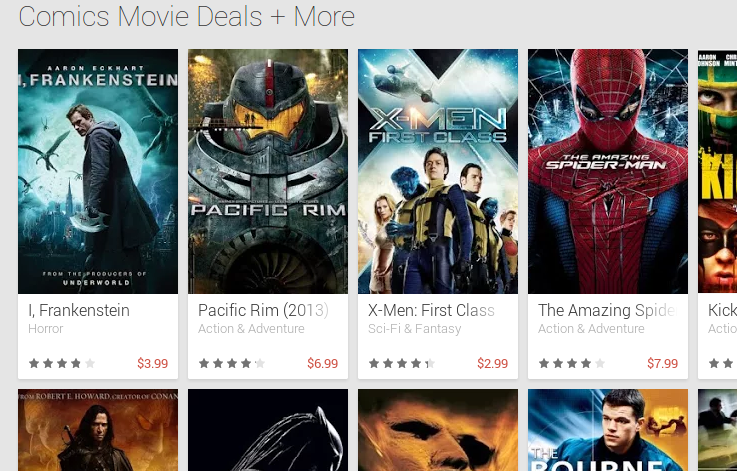 Google also has movie and magazine sales, but we don't want to talk about that, we want to talk about games! First an foremost, this is the first time in a long, long time that I've seen paid apps in the Google Play Store for less than $0.99. Do you remember back in 2011 when there were $0.10 and $0.25 app sales, those were good times. That is why I am talking about this sales now, I mean, there are often sales in the Google Play Store, but this one has several games for less than $0.99, and like I mentioned, Assassin's Creed Pirates is just ten cents. The sale is not entirely global, users in the US, UK, and a few South American and European countries are reporting to get the same sale at their respective 0.10 worth of currency. To see the full list of games, and get the links to the sales pages on the Google Play Store, hit my article on Android Authority. If ever there was a time that this was worth the trouble, this is it. While you are at it, here is the links to the Amazon App Store sales as well. This is absolutely worth if too, as there are as many as 30 premium apps up for free. If nothing else, I will be covering an app called WiFi File Transfer (Pro) in my Android customization series next week, and Amazon just so happens to have it on sale for $0.99. What do you think, are any of the offerings worth the trouble? What apps, games, movies or magazines will you be snapping up?